The SUE Executive would like to congratulate former SUE members and SUE members who were elected to Parliament, namely Jeremy Corbyn, Lilian Greenwood and Alex Norris. SUE was represented at the 2017 Biennual General Council Meeting of the GFTU held in Stratford. 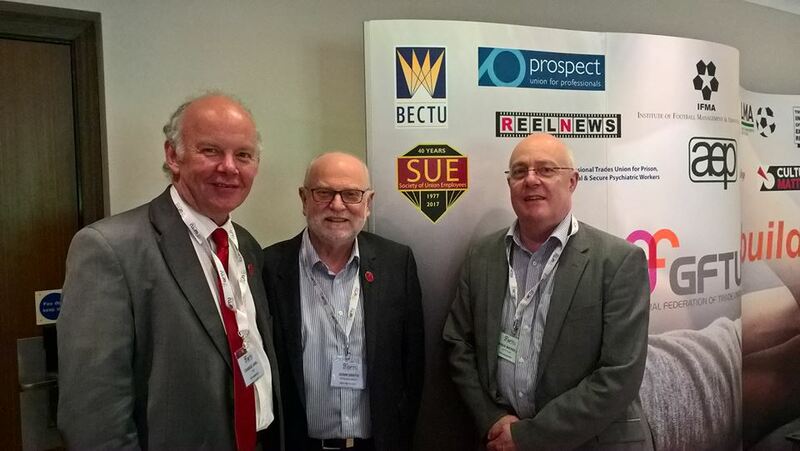 The Society was represented by Charlie Sarell Acting National Secretary, seen in the picture with GFTU President John Smith and GFTU General Secretary Doug Nicholls. Tolpuddle Martyrs Festival took place on 16th & 17th July. 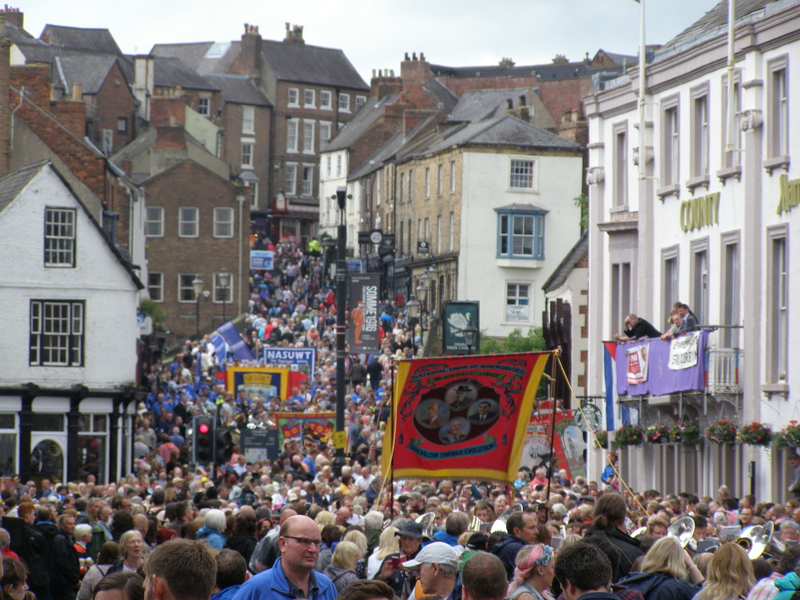 Members of the Society attended and took part. First SUE BAME Training Day a great success. 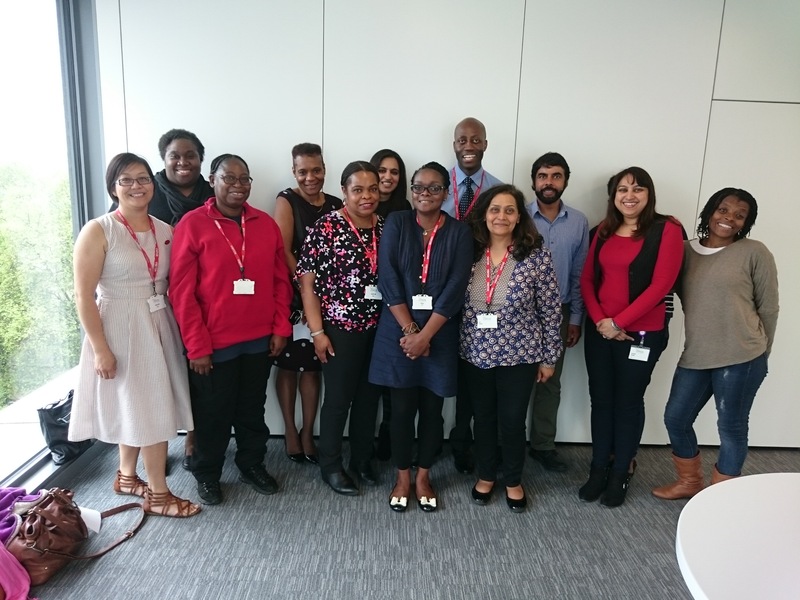 The first SUE BAME Training Day was held in London on 18th May and was very successful even though a number of people had to drop out at the last moment. Following posting on social media of a recording of a staff meeting in the Greater London Region, public comments have been made which have been derogatory towards UNISON staff and some SUE members in particular, seemingly based on inaccurate transcripts. 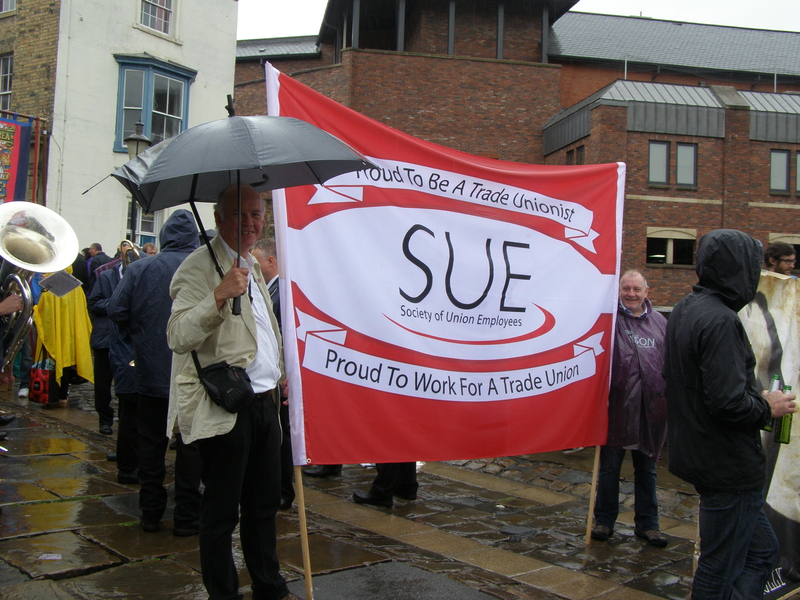 SUE and its members respect the internal democratic processes of the organisation we work for. 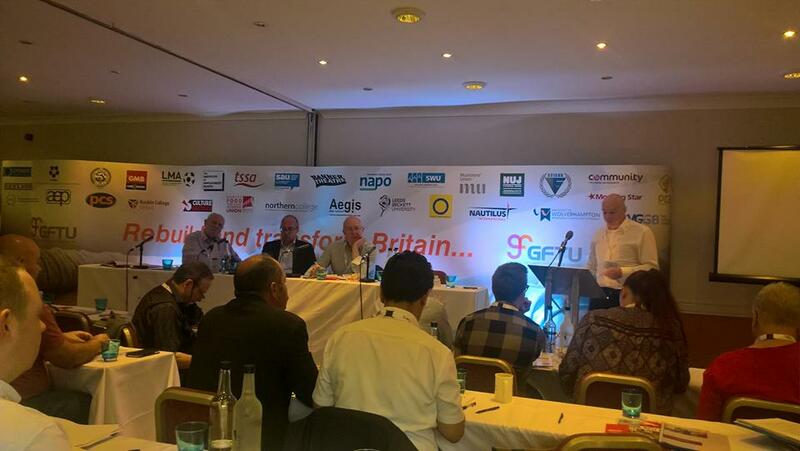 Crude blanket attacks and broad allegations impugning all staff are unwelcome and offensive. 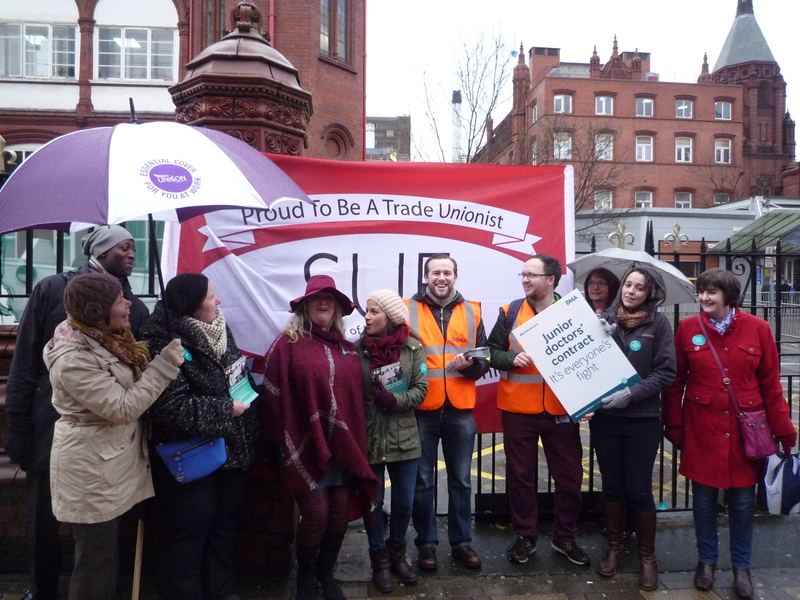 Many SUE members work over and beyond their regular duties and contracted hours on behalf of UNISON members and activists because we are also committed trade unionists. As such we believe in the fundamental role trade unions play in fighting for a fairer more equal society financially, politically and socially and SUE resents any suggestions to the contrary. We do not wish to comment on the issues surrounding the Greater London meeting but we will not allow our members to be caught in the cross fire and have aspersions thrown at them. Members of the SUE Executive Committee and the SUE West Midlands Branch joined junior doctors on the picket line outside Birmingham’s Children’s Hospital in a show of solidarity in their dispute with the Government over their new contracts. 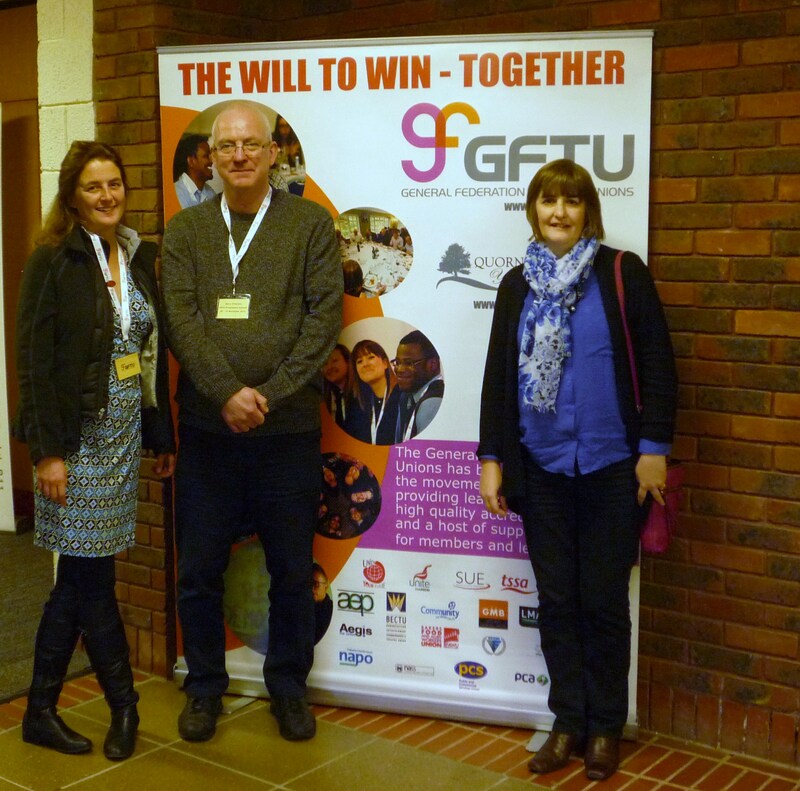 SUE delegates Claire Jones, Barry O’Hanlon and Angela Gerrard attended the GFTU Summit in Stone, Staffordshire in November 2015 which was held to look at the future of the GFTU and further opportunities for co-operation between GFTU affiliated unions.